Dr. Lil Pabon began her research career studying catalytic RNA encoded in the salamander genome as an undergraduate research assistant at Florida State University. Early in her career she became interested in the fundamental question of how do cells that begin with equivalent genetic information acquire distinct identities and become functionally specialized. As a way to address this question she focused on heart development in her graduate studies at Vanderbilt University where she received her PhD. As a post-doctoral fellow at the University of Washington, Dr. Pabon focused on the regulation of G-protein coupled signaling in vascular cells and subsequently joined the Murry lab in 2004 as a senior research scientist. 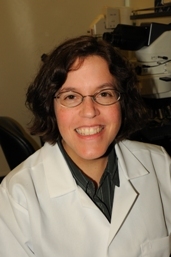 Her current research focuses in the understanding of the molecular mechanisms that regulate cardiac differentiation of human pluripotent stem cells and the application of this technology to disease modeling and therapeutic interventions.